When it comes to the representation of female artists in Asia, current figures make dismal reading. According to the latest art market report compiled by the economist Clare McAndrew, published by Art Basel and UBS earlier this month, just 19% of artists in Asian galleries are women—6% fewer than the global average. The South China Morning Post recently reported that men accounted for 80% of solo exhibitions among the 26 most established contemporary art galleries in Hong Kong last year. Meanwhile, our listings of exhibitions in Hong Kong this week reveal that there are no solo shows of female artists in public institutions, and only 11% of commercial gallery exhibitions are dedicated solely to women. At Art Basel in Hong Kong (ABHK) last year, the US-based activist collective the Guerrilla Girls revealed that 76% of artists showing at the fair in 2017 were male. This year, it seems that efforts are being made to redress the balance. Nowhere is this more evident than in the Encounters section, where 12 large-scale installations dominate the halls, four by women, three of whom are Asian. The section’s curator Alexie Glass-Kantor says she “strongly urged and encouraged” galleries to submit proposals by female artists, noting that there has been a 30% rise in the number of applications by women over the past five years. “It’s about being ethically accountable and representing the diversity of the world in which we live. As a cultural leader, you have a responsibility to demonstrate standards that should be adopted across the sector,” Glass-Kantor says. 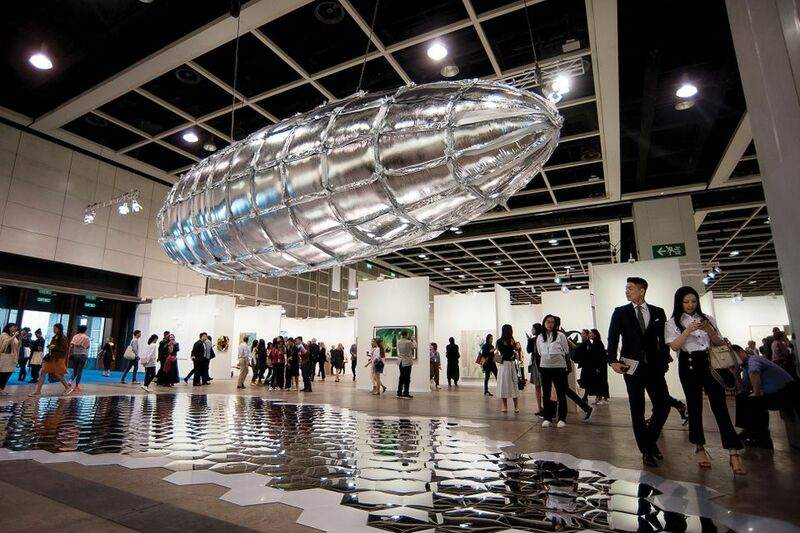 Prime spots at the entrance of the fair have been given to the Korean artist Lee Bul’s imposing silver zeppelin, Willing to be Vulnerable—Metalized Balloon (2019, priced upwards of $200,000) and the Japanese artist Chiharu Shiota’s labyrinthine yarn sculpture, Where Are We Going? (2017-18, €350,000, on hold to an Asian institution). Nearby, the Thai feminist pioneer Pinaree Sanpitak’s maze-like work, The Walls (2018-19), crafted from sheets of handmade paper hangs from the ceiling ($200,000). Meanwhile, the Moroccan-born artist Latifa Echakch is presenting her fallen theatre canvas, La dépossession (2014). Elsewhere, several dealers are presenting female solo shows as part of Insights, the section dedicated to solo and curatorial projects by artists from Asia and the Asia-Pacific region. They include the Shanghai-based Don Gallery, which has a selection of paintings by the Beijing artist LI Shan, and Gallery Baton from Seoul, which is showing copper sculptures and a teak wooden structure by the Korean-American artist Jinnie Seo, priced between $10,000 and $30,000. Seo says that being under-represented “is a challenge”, but that she is “very comfortable in the male-dominated field” of monumental sculpture in which she usually operates (she is currently undertaking a commission for the New Stanford Hospital in California). Korean and Taiwanese women are also making their mark at the Venice Biennale this year; Shirley Tse will become the first female artist to represent Hong Kong at the event, which opens in May. A new generation of Asian female digital media artists are also breaking the mould, shunning traditional family roles in favour of more globalised lifestyles. 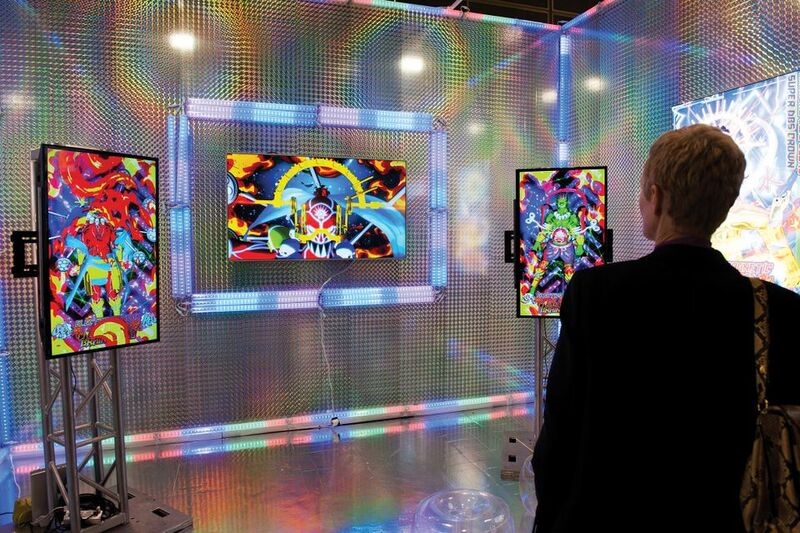 Lu Yang, who is showing with the Berlin gallery Societé at ABHK; Miao Ying, who was recently commissioned by the M+ museum; and Ma Qiusha and Ye Funa are among the rising stars whose work often exists in the gender fluid space of the internet. “By living on the internet, you can abandon your identity, nationality, gender, even your existence as a human being,” Lu told the New York Times in 2015. Societé declined to give prices, but the Belgian collector Alain Servais, who was making enquiries about Lu’s work during the VIP opening on Wednesday, observes that the price gap between emerging male and female artists is becoming less evident. Of course, inequality is not only a problem in Asia. Monika Sprüth, the co-owner of Sprüth Magers gallery, has brought her all-female Eau de Cologne exhibition to a pop-up space in Hong Kong’s H Queen’s (until 12 April). The original shows, which took place in Germany between 1985 and 1989, featured some of the most outspoken female artists of the time, including Cindy Sherman, Barbara Kruger and Jenny Holzer. In recent years, there has been a surge of shows dedicated to women, but Sprüth suspects an element of jumping on the bandwagon. “After #MeToo, the bigger galleries don’t dare to not show women artists,” she says. The market for female artists is certainly heating up in Asia—albeit in many instances for Western artists. This week, shows by Louise Bourgeois at Hauser & Wirth (prices from $250,000 to $4m) and Mary Corse at Pace Gallery ($300,000-$650,000) sold out on the opening day. The majority of all works went to Asian collectors.